Quick, name the greatest football player and coach combination ever to play the game… Think innovations so great that the rules would be changed every time they started something new; think hurry up offense and dynasty. No, not Bill Belichick, Tom Brady, and the New England Patriots. Brady never punted the ball 60 yards, ran under it and caught it in the air, broke four tackles and scored on the return; that wouldn’t even be legal today! If you are a football fan, or a history buff, this story of the Carlisle Indian School, Jim Thorpe, and Pop Warner will take you from the Civil War through World War I, and you’ll meet the likes of Theodore Roosevelt, Dwight Eisenhower, and Omar Bradley on the way. If this book teaches you anything, it’s that if you try to ignore this… stuff… it doesn’t go away, it just keeps piling up! We sometimes wish we could brush some of our history under a rug and try to forget it. We know we shouldn’t, but sometimes our history hurts too much. The Ku Klux Klan is one of our darkest, most terrifying memories. Men draped in sheets riding through the night to terrorize the innocent is the stuff of horror films and nightmares. Do yourself a favor and shine a light on those memories with Susan Campbell Bartoletti’s They Called Themselves the K.K.K. reviewing the parade. 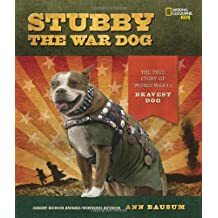 Then he drops back to all four feet, his tongue hangs out, and the most famous mutt to fight in World War I marches on. Harry Truman saw them. Winston Churchill felt their presence. Mary Todd Lincoln actually called them forth, and Abraham Lincoln is one of them. Dolly Madison tried to stop the workmen from digging up her garden to plan the Rose Garden sixty years after she died. These are the specters that lurk in one of the most historic, and haunted, buildings in America. A thankfully non-idealized look at the Olympics as sports, history, and culture. That means it will have some appeal to those interested in any of those aspects, but might be dissappointing to a hard-core sports or history buff. But with it being an Olympic year, this should be a real draw, especially compared to the standard sickeningly sweet Olympics books for kids. From the “Game Day Goddess” comes a book on the language of basketball for the complete novice. What makes this book special? It covers not just the official terms, but slang as well. Where else are you going to find a definition of a “ticky-tack foul”? A bit simplistic for the sports buff, but for anybody who wants to sit down next to dad and watch a game, this is the dictionary for you. Presidents have them. Kings too. Businessmen, gangsters, celebrities, even kids have body guards. Samurai, Secret Service, guard dogs, even guard geese. These are the stories of the guards that saved, the ones that failed, and the ones who turned on those they were sworn to protect. Like nonfiction, but fantasy too? Love stories of monsters and strange creatures, but you are aren’t buying it for a second? Love to see the world for what it is, but still wish there was a little magic left in it? Then I have a book for you. Here are all the things that go bump in the night, all the supernatural beasties that people have believed in – and feared – for ages, as well as the most likely explanations for why people believed in them. tragedy all the more human. This is history that comes alive. Hey whatcha eating? Floor sweepings and germ burps. No, really? It looks like a hot dog on a bun. Why don’t they serve chocolate in prison? Because it makes you break out. And who the heck first thought of scooping up curdled milk and eating it? 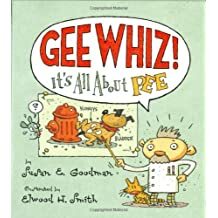 Everyone, and I mean everyone, eats the stuff in this book, so you might as well know where it comes from, how it works, and a few jokes to tell your friends when you eat it. From cricket lollipops to roasted ants in the movie theatre, here are the stories of bug foods from around the world. Part cook book, part social study, and all queasy, this is a fun nonfiction written at a very accessible level. Simple message: you don’t have to be a professional writer, or an adult, or a girl, to write. This is not a book about boys and writing but a book written to boys about their writing, their way. Ralph Fletcher writes great books for kids, but reading this you might almost think he was a boy once himself. How do you get a handle on the big, crazy world of rodeo? One rider, one bull, one bucking bronco at a time. 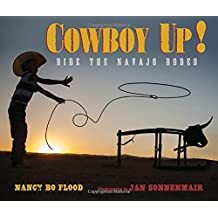 From kindergartners on bucking sheep to the clowns that face down raging bulls, here is one day in one rodeo with pictures so close you can feel the thousand-pound bull’s breath. Some are willing to risk their own freedom to secure the freedom of others .In America’s darkest hour, the lead up to the Civil War, some very regular people made an extraordinary sacrifice, standing up to say all people should be free when many of their countrymen, and the law, did not agree. Can you start a war without soldiers or firing a shot, but with humor, costumes, and what was basically a big party instead? America did it; find out how. Hey, it’s “My first zombie book”. Start your future horror reader off right with this little primer on the walking dead. Gently scary, and some classy, and campy, black and white illustrations for older fans. A first look at the men, machines, weapons, vehicles, and missions of the best of the best elite fighting forces in the world, including a look at how they took down Osama bin Laden. War destroys lives, and not just human lives. 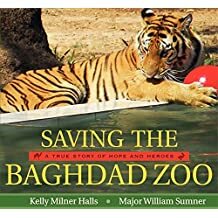 A handful of brave people, led by an American Army officer, took on the challenge of saving the animals in zoos all over Baghdad during the Iraq War. With bullets flying around them, they wrangled lions, alligators and many more animals. Heroes come in some surprising shapes. combat effectiveness. This is their story, in bold, technical language for the most military-minded of readers. Doodling his way to the top! We use the word “wild” all the time when we talk about kids. But what does wild really mean? What of a child who never knew parents, houses, even words? Who lived in the woods and ate what he could dig with his own hands? Would you say he was a savage, or was he free? Two hundred years ago, such a boy was caught and dragged naked into a French town. What could be done with him? What should be done with him? Was he being saved or imprisoned? What better use for your reading skills than to make something cool? 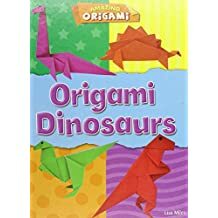 Make your own dinosaurs… out of paper! Amaze your friends. Make armies of dinosaurs. From very simple dinosaurs to an impressive T-Rex. There is something freeing about launching a long home run and running easily around the bases and back to home while the ball sails over the fence. But what if the fence is made of barbed wire, and even if the ball can fly away, you can never go home? People scoff at the idea that sports are life, but what if baseball is all you have of your life? 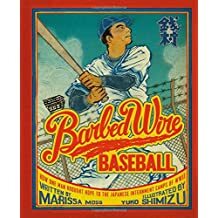 This is the true story of a man who played with babe Ruth and Lou Gehrig, and then was imprisoned with his whole family, his whole community. His crime? He was Japanese, and America went to war with Japan. Oh those silly, gullible people of the 1800′s. In the age of Facebook, it is worth noting that the technology may have changed, but we are still fooled in much the same way, so long as some people are willing to deceive, and a whole lot of people are willing to believe. One observer noted a, “peculiarly American superstition that the correctness of a belief is decided by the number of people who can be induced to adopt it.” Read any good posts lately? It is always great to get a kid hooked on a series, but so much better to hook them on a series that has both fiction and nonfiction books. We don’t give nonfiction enough credit, nor do we honor the fact that so many boys want to connect their reading with real life. Well, in this case it is real death in the form of real ghost stories, highly illustrated and quickly told. Great for those kids already addicted to the series, and a grand introduction for those who aren’t. Who needs a story written ABOUT some of the best stories ever? Why not just enjoy Irish folklore? Revel in the playful, and sometimes not so playful, deeds of the wee folk, whether meeting to dance beneath the stars, tearing apart houses that were built on fairy roads, or spiriting away their little hoards of gold. Learn how to find that gold, how to lift a fairy spell, and what it means when a Banshee wails outside your window. When can a dog be a SEAL? When it is a military Working Dog! Meet these four-legged heroes and see how they are raised and trained, and how they save lives and serve their country. U.S. Presidents have been soldiers, one never made it past private, but so have dolphins and pigeons. One weapon today costs more than the entire Revolutionary War, yes, even adjusted for inflation. We didn’t lose a single major battle in one war, but the White House was captured and burned in another. It’s a wacky walk through American warfare. Thousands of people pass through train stations every day… and some stay for hundreds of years. Train wreck victims, murder victims, and the only Pony Express rider killed in the line of duty; the various ghosts that are said to inhabit those places where so many people come to move on, and some never do. coaches in other sports DON’T wear uniforms, just picture Bill Parcells in Spandex. What is the connection between the city of Halifax in Canada, World War I, and the Christmas tree in Boston, Massachusetts? Two thousand deaths in the largest man-made explosion before the atomic bomb, that’s what. for pleasure, they read if it helps them do something. crack of the bat? Or your teammates yelling for the ball? Or even the umpire calling balls and strikes? We often say people with disabilities are just like everyone else. William “Dummy” Hoy wasn’t; he was better. “When I grow up, I want to be a police officer…or a veterinarian… or a superhero.” Well, why not become a little bit of all three? Find out how in this look at animal control officers.They are a long way from the old dog catchers! Quick, what mad scientist first revived a shock victim using mouth-to-mouth resuscitation? And who was the victim? Answer: The scientist was Ben Franklin, and the victim was a chicken. And that’s just one of the weird stories in this collection. made up of the same three things (electrons, neutrons, and protons), then why are gold and silver different colors? He started hyperventilating. I passed on advanced chemistry. If I had this book then, I might have taken it. teams… until Jerry Craft came to play for the Stars. convict someone everyone knew must be guilty of a crime that everyone knew needed avenging. A journalist takes us inside the lives of military dogs and their handlers, their selection, training, and acts of heroism with plenty of human (and canine) interest stories woven through. 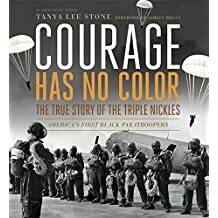 An especially unique view of the wars in Iraq and Afghanistan, this book makes a way of life few of us have ever imagined very real and personal. This nonfiction account covers a hundred years of fateful, and even fatal, expeditions into the heart of the Amazon region. It is part adventure tale, part horror story, part ecological treatise, all wrapped up in some amazing storytelling. This is Bill Bryson with teeth! It is a tropical Into Thin Air. Journalist David Gram follows in the footsteps of some of the greatest explorers ever into a land that even the great explorers could not conquer to try to solve a mystery as old as history in the New World. He goes in search of the golden city of El Dorado. Half this book is about cool poisons in nature, fangs, warts, and clicking mandibles. Very cool. The other half is about the poisons we humans put into the world and use on each other. Infuriating. All of it is worth the read. I don’t want to call this book inspirational, because that word seems too public, too outward. This is an honest, personal account of growing up into an elite athlete, and a moment that ended his career, could have ended his life, and should have ended his hope and determination but didn’t. Hey, maybe the people who decided that a bunch of backwater colonists could defeat the greatest army ever really were cartoon characters. Their stories seem far more real in this comic history than they ever did in a textbook. Tigers that weigh a quarter ton, escape artist pumas that put Houdini to shame, a jaguar that needs five-inch root canals, and the most freightening beasts of all: lawyers! Just the challenge for a professional writer whose been sipping wine in southern France.I’m sorry,sir, but what are you doing in that tree with a severed bull’s head Your feeding a what? Read the book… see the movie. The only thing more exciting than a monster of myth is when the monster turns out to be real. This nonfiction, picture book format includes every known picture of the giant and colossal squids, as well as many of the fanciful pictures of the legendary Kraken. For everyone who likes real life adventure stories, as well as those fans of a good creature feature. The horror of the Holocaust can leave the impression that the Jews of Europe just waited to be slaughtered. But that isn’t the whole story. All over Europe, Jews organized, helped each other escape the Nazis, made allies, and fought back. Often without help, often without hope, they fought so that the world would know they fought, in towns, ghettoes, fields, forests, and even in the death camps themselves. During World War II, a government rounded up an entire race of people and imprisoned them behind barbed wire and armed guards. It wasn’t Germany. Don’t count on what you learned in school about American history. We don’t always want to admit our mistakes. Ever since Piven and Borgenicht’s “Worst case Scenario” series, there has been a rash of survival books, most disappointingly tame and little-related to the great outdoors. This is the real thing, a guide that talks about real life survival situations from your back yard to the harshest environments on earth. Complete with activities like building a solar water purifier and a bit of British humor, this is the book for all those boys who were sorely disappointed by The Dangerous Book for Boys. The cure for the common history book. This irreverent take on American history digs into such weighty issues as the place of stupid hats at major junctions of history, who was the most boring president we ever had, and why Americans have smelled so bad for so long. Read this along side your real history text book and you might get a few laughs and a little perspective. When General Robert E. Lee surrendered to Ulysses S. Grant on April 9, 1865, the Union thought that the Civil War was over. Two men, Jefferson Davis, President of the Confederate States of America, and John Wilkes Booth, the soon to be assassin, did not agree. The war would not truly be over until the country buried Abraham Lincoln, and hunted down Jefferson Davis.